The Positive Displacement Calibrator Liquid (PDCL 10) provides calibration for meters 1/2 in. or smaller. 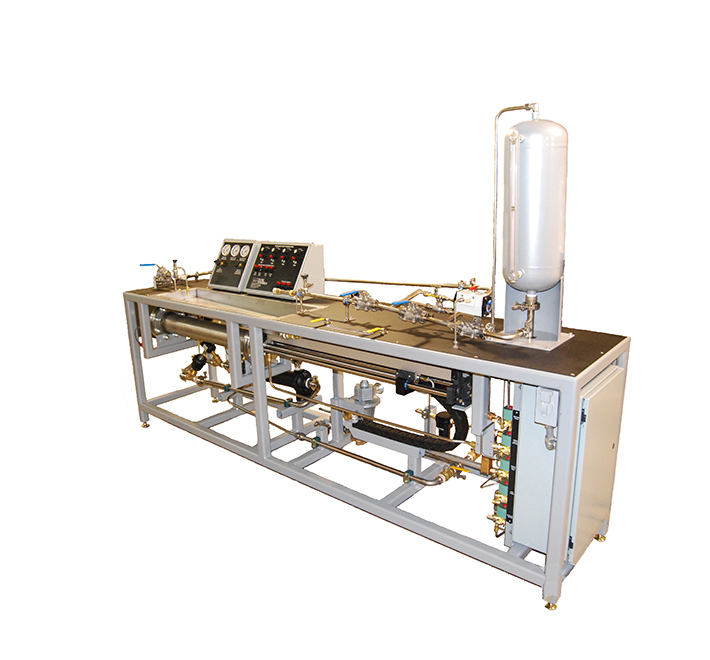 The test section is large enough for multiple flow meter calibrations, up to 4 depending on stack length limitations. Of particular importance is the three valve fluid flow rate control valves (course, medium and fine) for ease of obtaining a precession flow rate. Combining the PDCL 10 with the PDCL 400 will cover meters from 3/8 to 2-1/2 in. or 0.01 to 400 GPM. The run and return valves are activated automatically by software commands.